Converting industry is that specialize in combining raw materials such as plastics, rubbers, adhesives and metals, as well as other materials, to create new products. Materials such as plastic film, paper, foil and cloth often are produced in long, continuous sheets that are rolled up for more convenient handling. 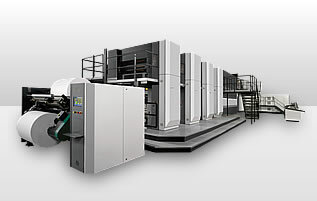 Typical converting processes are coating, laminating and printing. Many converting companies will process large diameter, wide rolls of material as this increases the converting efficiency by minimizing changes. On completion of the converting process the rolls are cut into smaller rolls on a slitting machine. Such a big story that is currently proposed is explosion proof with higher durability sensor at converting industry because of its harsh environment involves a lot of explosion risk. NSD's ABSOCODER is the best solution, and please see the major applications as right below. Please meet NSD's actual application.